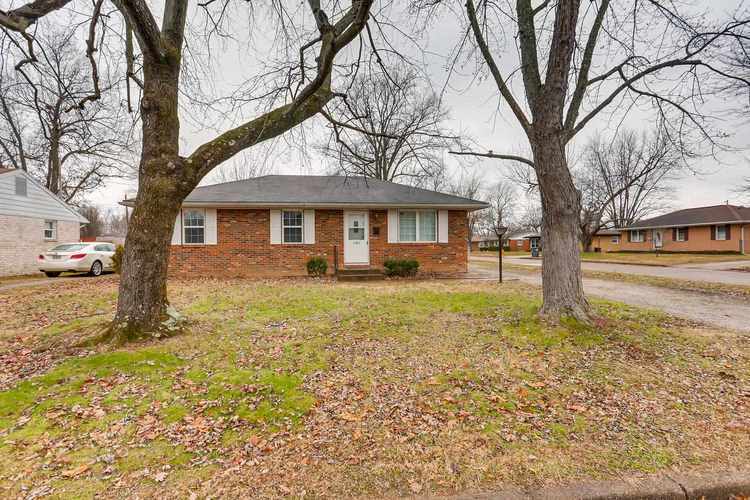 Completely remodeled 3-bedroom, 1-bath home tucked away on a large corner lot. The light-filled open floor plan boasts fresh paint and new luxury vinyl plank flooring throughout the entire home. The spacious living room welcomes you in to the home with the eat-in kitchen, with stainless appliances, allowing a great space for dining. There is also a laundry room off the kitchen with access to the fully-fenced back yard. All three bedrooms have been painted and feature new flooring, and the bathroom has been remodeled as well. There is a large gravel drive with plenty of space for off-street parking. This home is sure to impress! Sale includes: range; dishwasher; microwave; and refrigerator. Directions:From Green River Rd: W on Pollack Ave; S on Boeke Rd; E on St. James Blvd to home on right.